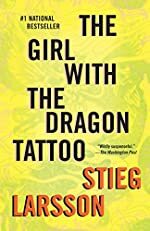 The Hidden Staircase Mystery Books recently updated its list of June 2011 hardcover mysteries as well as shelved new June paperbacks on The Mystery Bookshelf. In this series of monthly posts, which we call Firsts on the 1st, we're introducing readers to new series characters who will make their mysterious American debut during June. What we know about the character: Quinn Colson is an Army Ranger in northeast Mississippi. His first case: Northeast Mississippi, hill country, rugged and notorious for outlaws since the Civil War, where killings are as commonplace as in the Old West. To Quinn Colson, it's home — but not the home he left when he went to Afghanistan. Now an Army Ranger, he returns to a place overrun by corruption, and finds his uncle, the county sheriff, dead — a suicide, he's told, but others whisper murder. In the days that follow, it will be up to Colson to discover the truth, not only about his uncle, but about his family, his friends, his town, and not least about himself. And once the truth is discovered, there is no turning back. What we know about the character: Willow Vanderling owns In Stitches, a notions store in Elderberry Bay "Threadville", Pennsylvania. 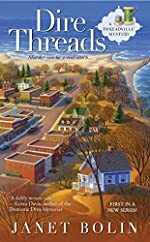 Her first case: Threadville has everything — a fabric store, yarn shop, notions store, quilting boutique, and Willow Vanderling's brand new shop, In Stitches, a hit with tourists eager to learn embroidering in the latest way, with software and machines. What we know about the character: Claire DeWitt is a private investigator in New Orleans (Louisiana). Her first case: Claire is not your average PI. She has brilliant deductive skills and is an ace at discovering evidence. 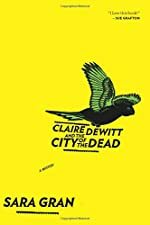 But Claire also uses her dreams, omens, and mind-expanding herbs to help her solve mysteries, and relies on Détection — the only book published by the late, great, and mysterious French detective Jacques Silette. What we know about the character: Joona Linna is a Detective Inspector in Stockholm. His first case: In the frigid clime of Tumba, Sweden, a gruesome triple homicide attracts the interest of DI Linna, who demands to investigate the murders. The killer is still at large, and there’s only one surviving witness — the boy whose family was killed before his eyes. Whoever committed the crimes wanted this boy to die: he’s suffered more than one hundred knife wounds and lapsed into a state of shock. Desperate for information, Linna sees only one option: hypnotism. He enlists Dr. Erik Maria Bark to mesmerize the boy, hoping to discover the killer through his eyes. It’s the sort of work that Bark has sworn he would never do again — ethically dubious and psychically scarring. 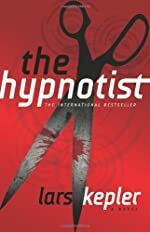 When he breaks his promise and hypnotizes the victim, a long and terrifying chain of events begins to unfurl. What we know about the characters: Antoine Verlaque is the chief magistrate of Aix. His on-again, off-again love interest is law professor Marine Bonnet. 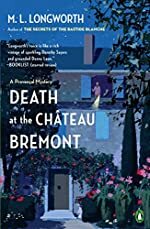 Their first case: When local nobleman Etienne de Bremont falls to his death from the family château, the town is abuzz with rumors. Verlaque suspects foul play and must turn to Marine for help when he discovers that she had been a close friend of the Bremonts. What we know about the character: Jack Colby owns Frogs Hill Classic Car Restorations. What we know about the character: Seneca Hunt is a magazine journalist. Her first case: Seneca is reporting on the opening of Montezuma's tomb in Mexico City when the dig team learns that the remains of the Aztec emperor are missing. Within moments of the discovery, an apparent terrorist attack kills everyone at the site except Seneca, who barely escapes the carnage. Determined to get answers, Seneca starts investigating. 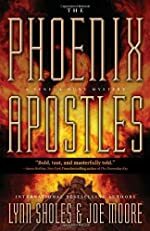 She finds out that someone is stealing the remains of the most infamous mass murderers in history — and plotting to slaughter millions in the name of an ancient cult. Seneca needs to prove the threat really exists while trying to stay one step ahead of those who want her dead. With time running out, she must follow a deadly 2,000-year-old trail that leads back to the death of Jesus Christ. What we know about the character: Ned Parker is the law in Lamar County, Texas. 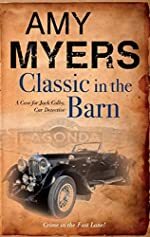 His first case: When Ned is summoned to a hot cornfield one morning to examine the remains of a tortured bird dog, he finds a dark presence in the quiet community of Center Springs. A farmer by trade, Ned is usually confident when it comes to handling moonshiners, drunks and domestic disputes. But the animal atrocities turn to murder, and the investigation spins beyond his abilities. After a dizzying series of twists, eccentric characters and dead-ends, Ned’s friend, cranky Judge O. C. Rains, is forced to contact the FBI. Worse, sinister warnings that his family has been targeted by the killer lead Ned to the startling discovery that he knows the murderer very well. 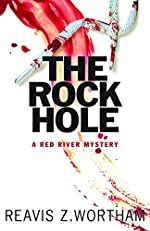 After the failed abduction of his precocious grandchildren Top and Pepper, the old lawman becomes judge and jury to end the murder spree in the Red River bottomlands. For a list of more hardcover mysteries scheduled for publication during June, please visit our New Mysteries home page. 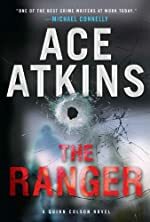 If you're interested in new paperbacks, visit The Mystery Bookshelf, where you can discover a library of new mysteries, also updated with June 2011 releases. See also our regularly updated eBook site for new mysteries, suspense novels and thrillers, MysterEbooks.com. eHarlequin.com has released the list of June 2011 titles in their Mira imprint, the brightest stars in women's fiction. From all titles available, we've only listed those that are mystery, thriller, or suspense on this page. For more information about the book from eHarlequin.com, click on the title or cover; other purchase options are also provided. A behaviorist. A techno–wizard. An intuitive. A former Navy SEAL. Unconventional operatives. All with unique talents and personal reasons for being part of Casey's group, they'll do whatever it takes. Savannah Slade is not the person she thought she was. The reading of her "father's" will has led her to a world-shattering revelation: her sisters are not her blood kin—and she may be the heiress to a massive fortune. Her not-quite-fiancé Judd doesn't care where she came from—he only wants her by his side. But the primal need to uncover her past wins out, and Savannah trades the Montana ranges for Miami's moneyed oceanside enclaves. Keep up to date by subscribing to eHarlequin.com's free newsletter that contains the latest information about their series of books as well as informing you about subscriber-only special offers and new products. Click on the banner to subscribe for free. In a move that will most certainly not stop speculation that Sony was behind the release last weekend of an "illicit" red band trailer for the English-language film adaptation of The Girl with the Dragon Tattoo by Stieg Larsson -- which instantly became a viral sensation with some 1.4 million views in just a few days -- the studio has finally requested that the YouTube video be removed. But -- and here's a coincidence -- a new green band trailer has now been released, presumably officially, which we've embedded below (courtesy of Movie-List.com). The Girl with the Dragon Tattoo stars Daniel Craig as journalist Mikael Blomkvist and Rooney Mara as computer hacker Lisbeth Salander, who he enlists to help investigate the 40-year-old disappearance of a Swedish industrialist's daughter. The film opens in the US on December 21st, 2011.